I had the kind of childhood I wish more Chinese children could have. I grew up surrounded by exquisite artworks from China’s long and dazzling history. I can still remember as a child holding a Qing dynasty jade vase in my small hands. Cool to the touch even on a hot summer day, the vase was deeply incised with lotus blossoms. My early encounters with Chinese antiques took place not in China but in my grandfather’s house in New York City. He was a successful businessman and developed a passion for Qing and Ming dynasty jade. I inherited his fondness for Chinese culture and art. In my office today in Shenzhen, eight jade pieces from my grandfather’s collection are displayed. 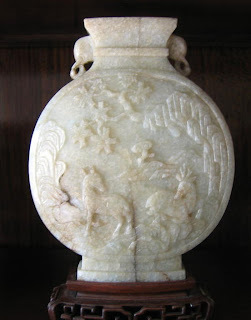 Chinese antiques – jade carvings, imperial porcelains, paintings, Buddhist sculptures – are all deeply familiar to me. I have lived around them my whole life. This, sadly, is an experience too few Chinese in the People’s Republic will share. It’s not only that private collections are rare. While China has been on a museum-building spree this past decade, only a few of the country’s 3,500 museums have strong and extensive collections. Beijing’s Forbidden City Palace Museum does have some outstanding works of art. Most, though, are newly-built Xanadus with a limited display of works that would never make it into the collection of a minor provincial museum in Europe. This is not only a problem but an unnecessary blemish, especially now that China has the money and global clout to do something about this. Chinese children grow up with too few opportunities to see up close, especially in smaller and less-crowded settings than the Forbidden City, the beautiful objects made by their ancestors. This should change. In the recent past, the Chinese government has made promises to bring more artistic masterworks back to the country where they were made. But this has mainly involved an occasional effort to halt auction houses from selling objects looted in 1860 from the Summer Palace in Beijing. The result is any object that can be traced back to the Summer Palace is now bought and sold privately, not at auction. China should continue to try to right this historic wrong. But, in the meantime, something else can be done. China’s government should be out in the international auction market buying Chinese art treasures on behalf of the nation and then distribute these works among museums across the country. The goal: in coming years, every child in China will have frequent opportunities, as I had, to admire, study and be inspired by Chinese art. The range of Chinese artistic genius is probably more vast than any other civilisation, from Zhou dynasty bronzes cast 3,000 years ago, to Qin, Han and Tang terracotta objects, to fine Song ceramics along with Ming and Qing imperial porcelains, austere huanghuali furniture, florid cloisonné, Buddhist sculptures from the Sui dynasty, Song and Ming paintings, jade objects from Neolithic times all the way through to the 20th century. Tragically, many of the valuable works of art that remained in China after 1949 were burned or smashed to pieces during the Cultural Revolution, an even more thoroughgoing artistic annihilation than we’ve witnessed recently from Islamic State and the Taliban. As a result, most of the world’s most valuable Chinese art is now outside the People’s Republic, in museums and private collections. It’s said that there are over 17 million Chinese antiques in the US and Europe alone. It’s time more of them made their way back to China and into public collections. Restitution, either voluntary or through international law, is not really an option. Few works other than those from the Summer Palace have a clear provenance showing they were illegally looted. My humble proposal: the Chinese government could start and manage a national heritage fund to purchase for the nation items of cultural and artistic importance. It would accept cash donations from philanthropic Chinese at home and abroad. At the same time, I’d suggest that every state-owned enterprise voluntarily pay an annual dividend of 0.5 per cent of its profits every year into this national heritage fund. Last year, that tiny dividend would have brought in close to US$2 billion. Chinese private sector companies should be encouraged to match or exceed this pledge. I’m confident many would. Every year, about US$7 billion worth of Chinese antiques are sold at auction houses in mainland China, Hong Kong, London and New York. 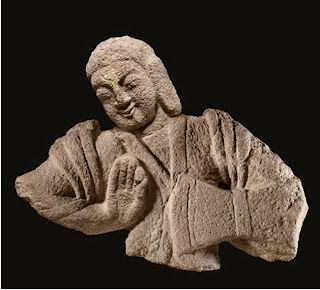 Virtually every object sold at the six major Christie’s and Sotheby’s China antiques auctions each year is better than what’s on view now in most Chinese museums. A Chinese national heritage fund would be a big departure for the government. At the moment, about the closest thing it has is a national lottery. The money is meant to go to support sports and the underprivileged, but where it goes is often hard to trace. A report last year by the National Audit Office suggested that billions of renminbi were misappropriated and bribery rampant. An art fund, especially if it raised money from public donations, would need to be transparently and professionally managed. Corruption is only one problem. The fund would also need to buy without igniting a big run-up in prices. The Getty Collection in Los Angeles faced a similar problem. It set out to acquire valuable art, and has had more than enough money to do so. It goes to great lengths to buy in ways that don’t cause a huge spike that would price everyone else out of the market. Wealthy Chinese are now active buyers of Chinese antiques at global auctions. Their impact is already felt worldwide. But Chinese plutocrats in general don’t donate to Chinese museums. They keep everything under their own lock and key. Trust of civic institutions doesn’t run deep. Indeed, when I mention to Chinese friends I intend to leave my grandfather’s collection to a museum in China, they often shake their heads disapprovingly. Art objects have been stolen from the Forbidden City. A Guangzhou museum curator was caught selling genuine objects for millions of dollars and replacing them with fakes. Building museums has proved easier in China than populating them with museum-quality treasures. The sad result is it’s easier for school kids in Kansas City to see Song dynasty celadons than at the art museum in Hangzhou (杭州), the major city closest to where these luminous ceramics were made 800 years ago. In the last five-year plan, it was stated that Chinese culture is the “spirit and soul of the nation” and a powerful force for the country’s development. It is a noble sentiment. Art is certainly among the most profound expressions of China’s soul and genius. It needs to become more of a living and familiar part in every Chinese child’s life. I get asked occasionally by private equity firm guys how CFC gets such stellar clients. At least in one case, the answer is carved fish, or more accurately my ability quickly to identify the two murky objects (similar to the ones above) carved into the bottom of a ceramic dish. It also helped that I could identify where the dish was made and when. From that flowed a contract to represent as exclusive investment bankers China’s largest and most valuable private GPS equipment company in a USD$30mn fund-raising. It’s in every sense a dream client. They are the most technologically adept in the domestic industry, with a deep strategic partnership with Microsoft, along with highly-efficient and high-quality manufacturing base in South China, high growth and very strong prospects as GPS sales begin to boom in China. Since we started our work about two months ago, several big-time PE firms have practically fallen over themselves to invest in the company. It looks likely to be one of the fastest, smoothest and most enjoyable deals I’ve worked on. No fish, no deal. I’m convinced of this. If I hadn’t correctly identified the carved fish, as well as the fact the dish was made in a kiln in the town of Longquan in Zhejiang Province during the Song Dynasty, this company would not have become our client. The first time I met the company’s founder and owner, he got up in the middle of our meeting, left the room and came back a few minutes later with a fine looking pale wooden box. He untied the cord, opened the cover and allowed me to lift out the dish. I’d never seen it before, but still it was about as familiar as the face of an old teacher. Double fish carved into a blue-tinted celadon dish. The dish’s heavy coated clear glaze reflected the office lights back into my eyes. The fish are as sketchily carved as the pair in the picture here (from a similar dish sold at Sothebys in New York earlier this year), more an expressionist rendering than a precisely incised sculpture. It’s something of a wonder the fish can be discerned at all. The potter needed to carve fast, in wet slippery clay that was far from an ideal medium to sink a knife into. Next came all that transparent glaze and then the dish had to get quickly into a kiln rich in carbon gas. The amount of carbon, the thickness and composition of the glaze, the minerals dissolved in the clay – all or any of these could have contributed to the slightly blue-ish tint, a slight chromatic shift from the more familiar green celadons of the Song Dynasty. All that I knew and shared with the company’s boss, along with remarking the dish was “真了不起”, or truly exceptional. It’s the finest celadon piece I’ve seen in China. Few remain. The best surviving examples of Song celadon are in museums and private collection outside China. I’m not lucky enough to own any. But, I’ve handled dozens of Song celadons over the years, at auction previews of Chinese ceramic sales at Sotheby’s and Christie’s in London and New York. The GPS company boss had bought this one from an esteemed collector and dealer in Japan. The boss and I are kindred spirits. He and I both adore and collect Chinese antiques. His collection is of a quality and breadth that I never imagined existed still in China. Most antiques of any quality or value in China sadly were destroyed or lost during the turbulent 20th century, particularly during the Cultural Revolution. The GPS company boss began doing business in Japan ten years ago, and built his collection slowly by buying beautiful objects there, and bringing them home to China. Of course, the reason Chinese antiques ended up in Japan is also often sad to consider. They were often part of the plunder taken by Japanese soldiers during the fourteen brutal years from 1931 to 1945 when they invaded, occupied and ravaged parts of China. Along with the celadon dish, the GPS boss has beautiful Liao, Song, Ming and Qing Dynasty porcelains, wood and stone carvings and a set of Song Dynasty paintings of Buddhist Luohan. In the last few months, I’ve spent about 20 hours at the GPS company’s headquarters. At least three-quarters of that time, including a visit this past week, was spent with the boss, in his private office, handling and admiring his antiques, and drinking fine green tea grown on a small personal plantation he owns on Huangshan. I’ve barely talked business with him. When I tried this past week to discuss which PE firms have offered him money, he showed scant interest. If I have questions about the company, I talk to the CFO. Early on, the boss gifted me a pretty Chinese calligraphy scroll. I reciprocated with an old piece of British Wedgwood, decorated in an ersatz Chinese style. Deal-sourcing is both the most crucial, as well as the most haphazard aspect of investment banking work. Each of CFC’s clients has come via a different route, a different process – some are introduced, others we go out and find or come to us by word-of-mouth. Unlike other investment banking guys, I don’t play golf. I don’t belong to any clubs. I don’t advertise. Chinese antiques, particularly Song ceramics, are among the few strong interests I have outside of my work. The same goes for the GPS company boss. His 800-year old dish and my appreciation of it forged a common language and purpose between us, pairing us like the two carved fish. The likely result: his high-tech manufacturing company will now get the capital to double in size and likely IPO within four years, while my company will earn a fee and build its expertise in China’s fast-growing automobile industry. In most things to do with China, the “law of big numbers” applies. A population of 1.4 billion mandates that. So, whether it’s the fact there are over 50 cities larger than Rome, provinces with populations larger than any European country, or that more of just about everything is sold every year in China than anywhere else, the reality of China’s huge population is always a hulking presence. Except for Qinghai Province. Here, the numbers are so small Qinghai can seem like one of the Baltic States. The province is a little larger than France, yet has a population of only 5.2 million, or 0.3% of China’s total. The capital city, Xining, where I’m now writing this, has about one million residents. Tibet to the south and Xinjiang to the north are both autonomous regions, rather than provinces. Both are far more well-known and talked-about, both inside China and out, and benefit from much more investment from the central government. Qinghai is unlike anywhere I’ve been in China. It is so empty as to be almost desolate. Xining is in the midst of a very rapid transformation from a dusty low-rise backwater to a more obviously modern Chinese city, with high rises, two new expressways, broad boulevards and shiny new shops selling brands familiar in other parts of the country. It sits alongside a tributary of the Yellow River, wedged like a sliver between low barren brown mountains. Xining is also the most conspicuously multi-cultural city I’ve been to in China, with a Han majority sharing the city with a large contingent of Tibetans, and a very significant population of Hui Moslems. The Dongguan mosque, on the city’s main street, is one of the largest in China. As many as 30,000 people can worship there. Every twenty paces or so you’ll pass a small brazier with a Hui cook barbecuing lamb kebabs. Most also sell yak milk yogurt. It’s delicious, in case you’re wondering. The Tibetans are more concentrated outside Xining. Qinghai makes up most of the Tibetan region of Amdo, and much of the province’s landmass is inhabited by Tibetan herdsmen. The current Dalai Lama was born not far from Xining, and had some of his first schooling at Kumbum Monastery, a 450 year-old establishment that has long been among the most important sites of religious worship and study for Tibetan Buddhists. If I had a patron saint, it would be him. Tsongkhapa was born where the Monastery now sits, in a small mountain village. The Monastery spreads lengthwise about one mile up a hillside. At its height, it was home to 3,600 monks. Now there are said to be about 500. A lot of the more ancient buildings were destroyed during the Cultural Revolution, and have since been rebuilt. There are also some newer structures in traditional Tibetan monastic style, including one built with a donation from Hong Kong’s richest man, Li Ka-shing. Tibetan pilgrims circumambulate the important buildings, do their prostrations, and leave offerings of money and butter. They share Kumbum with Chinese tour groups, who are for the most part respectful, attentive. After visiting the Monastery in a steady drizzle, I went to see a doctor at the nearby hospital. I was feeling just fine, but for a little sleepiness from the high altitude. I’ve had a long, intense interest in Tibetan medicine, and the hospital here is staffed by lamas educated at Kumbum and graduated with the equivalent of a PhD in Tibetan medicine. I saw a physician named Lopsang Chunpai, dressed in maroon and yellow monastic robes. He took my pulse, pronounced me healthy, and prescribed a Tibetan herbal medicine called Ratna Sampil, a combination of 70 herbs that is compounded at the hospital. According to the package, it’s used “clearing and activating the channels and collaterals”. Though I saw only a very small part of it, Qinghai struck me as an especially lovely place: a wide, open and arid plateau not unlike parts of the American West. Even accepting the cold winter (with temperatures of 20 to 30 degrees below zero centigrade), it’s hard to understand the high vacancy rate here. It’s population density, at 7 people per square kilometer, is 0.3% of Shanghai’s. It’s empty, of course, because comparatively few Chinese have emigrated here. That seems likely to change. The air is clean, the economy is booming and the infrastructure improvements of recent years are integrating the province much more closely with the highly-populated parts of China to the east. Neighboring Tibet and Xinjiang have experienced large Han Chinese migration over the last 60 years. Not so Qinghai. Geography is destiny. Qinghai, unlike Xinjiang and Tibet, does not border any other country. It has far less military and strategic importance. Xinjiang borders Russia and Tibet borders India. China has fought border wars with both. Xinjiang and Tibet have also both recently had some serious ethnic conflicts, including anti-Chinese riots in both places in the last two years. Although its population is about 20% Moslem and 20% Tibetan, Qinghai has stayed peaceful. It is China’s melting pot. Qinghai is rich in mineral resources, including large seams of high-grade coal. As the transport system improves, more Chinese will migrate there to work in mines. Xining, as small as it is, is the only proper city in all of Qinghai. The ostensible reason for my visit was to speak at a conference on private equity. The provincial government has a target to increase the number of Qinghai companies going public. The mayor of Xining, who I met briefly, was until recently a successful businessman, running one of the province’s largest state-run companies. I met a few local entrepreneurs and visited one factory making wine from buckthorn berries, using technology developed by Tsinghua University. It’s a healthier, lower-proof alternative to China’s lethal “baijiu”, the highly alcoholic spirit, mainly distilled from sorghum, that is widely consumed across China. Up to now, as far as I can tell, there’s been no private equity investment in Qinghai. I’d like to change that. It’s a special part of China. Though it’s statistically one of the poorest provinces, Qinghai will continue every year to close the gap. More capital, more opportunity, more prosperity — and more inhabitants. This is Qinghai’s certain future. Hangzhou’s main art museum, known as the Zhejiang Provincial Museum, sits on a nicer plot of land than any museum I’ve ever been to, including the Louvre in Paris and National Gallery in London. It’s on a small bend in the road that circles the city’s famous Xi Hu, or West Lake. From the museum entrance, you look out across the lake at a particularly lovely spot, with a small steep island ahead and the steeper mountains beyond. The museum itself is modern, in a classically-Chinese format, with pavilions reached by gabled walkways, set among small streams teeming with koi. The setting is perfect, but sadly, the museum’s contents are anything but. One pavilion offers a bunch of world “art treasures” that looked like they were bought for ten bucks each at airport souvenir stores . A low point: a set of mounted bull horns from Indiana. Another beautiful pavilion had the paintings and personal effects of a Hangzhou-born 20th century artist who had studied painting in France in the early part of the century, and then did some so-so pastiches of Chinese subject matter, incorporating elements of Cezanne, Picasso, Monet among others. A pavilion said to hold “historical relics” was locked and empty. Finally, you get to the two buildings with Chinese porcelains. My hopes remained high, since, after all, Hangzhou is the greatest of all China’s cultural cities, capital of the Southern Song dynasty, which produced (for my money) the finest porcelains the world has ever seen, including Jun, Ding, Guan, Yaozhou, Longguan, Qingbai, Cizhou, Ge styles. (The bowl above is an example of Song Dynasty Guan porcelain.) I’ve had the good fortune to see a lot of Song porcelains over the years, in museums in the West, and have handled a fair number at auctions in London and New York. Many were produced close to Hangzhou. My not-unrealistic expectation, therefore, was that the Hangzhou museum would have both more and better Song porcelains than I’d ever seen. So sure was I of this that I invited four CFC colleagues to come along with me, after we finished a client meeting. Bad choice. The museum, though in a gorgeous setting on a lake fabled for its beauty and historical meaning, is mainly a sad reminder that many of China’s most important art treasures are held outside the country, in museums and private collections. The porcelains in the Hangzhou museum look like (and most probably are) the leftovers after all the best pieces had been spirited away. The celadons have little sparkle or translucence, and have a gimpy shape. There are no examples of the Jun and Guan styles most prized by connoisseurs. The one Yaozhou bowl is clumsily carved. Song burial urns are among the least ornate and less precisely-molded I’ve ever seen. The two pavilions with Song porcelains are a colossal disappointment, not just because the art works are generally of middling quality. Instead, a museum that should be a encapsulation of the greatness of Song culture is, instead, a subtle reminder of how much has been lost or pillaged. Thousands of Song wares are in collections, public and private, around the world. 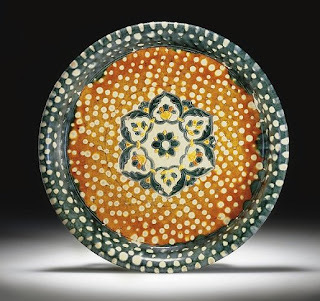 At least six times a year, Sothebys and Christies hold auctions in London, New York and Hong Kong that include dozens of works of Song porcelain far better than any on display in the Hangzhou museum. Museums from Tokyo to Paris to Washington D.C. are loaded with great works from the Song. But, here in Hangzhou, there are only cast-offs. Among the millions of Chinese who come to Hangzhou each year as tourists, most will likely leave with no concrete appreciation of the paramount artistic achievements of the Song culture that sprang from here. Instead, many must end up wondering, after visiting the museum, if there’s really anything much to be proud of from that period. One of the two pavilions for Song porcelain is almost entirely made up of shards of the most common sort of household pottery from the Song era, not the exquisite pieces crafted for emperors and scholars. The effect is a little like visiting Tiffany, expecting to ogle the diamonds, and finding it filled instead with broomsticks and knitting needles. The Chinese government, quite publicly, has been seeking to block the sale at auction of art objects looted from the Summer Palace in Beijing. It’s a small step toward the goal of one day recovering more of China’s lost artistic patrimony. I’d personally like to see the Chinese government more active, not just blocking the sale of items stolen long ago, but also buying some of the more important Chinese antiques that come on the market. It’s easy to understand why the Chinese government has so far refused to do so, since they don’t want to let others profit from what it sees as wrongful expropriation. But, as a lesser of evils, I’d prefer them to bring back some of the more beautiful objects, and add them to the collections of important national museums like the one in Hangzhou. That way, at least, more Chinese would have opportunities to admire up close the crowning achievements of Chinese culture. It’s a good side project for CIC, China’s sovereign wealth fund, and China’s State Pension Fund. Along with trying to secure the country’s financial future, these two organizations could also invest, on a comparably small scale, to secure more of the country’s incomparable artistic heritage. The museum visit left me feeling sad, but also resolved to do my own small part. I’m fortunate to own a few Chinese porcelains and jade pieces from the Qing and Ming dynasties. The jade was left to me by my grandfather, who started collecting in the 1950s. I’d like to donate the art works to a Chinese museum when I die, if not sooner. While nowhere near as important as the items regularly at auction at Sothebys and Christies, they are decent examples of the output of some of China’s finest artists and artisans. Art is a shared inheritance. But, more of China’s treasures should be seen where they were crafted. With CFC’s business motoring along nicely, I decided in late spring to redesign our very bare-bones website, to add more information, and make it a little more pleasing to the eye. After four months of sometimes tedious labor, the process is now complete. The English-version of the new CFC website went live earlier this week. The Chinese version will follow after the October holidays in China. Everything turned out well. But, completing the site took far longer than I’d expected at the outset. I helped contribute to the delays by frequently changing my mind about which images should appear on the site. I decided one thing emphatically from the start: I did not want to reproduce the hackneyed sort of imagery you see on every other financial industry website I’ve ever seen, from Goldman Sachs’ to a small regional bank’s. So, I wanted no photos of men shaking hands, or gathered around a conference room table, or walking purposefully down a busy urban street holding a briefcase. For one thing, I don’t even own a briefcase. Instead, I wanted to do something far more personally meaningful on the site, and use only close-up images of Chinese art. After some experimenting with images of Ming Dynasty porcelains and sculptures, I decided to use only Chinese paintings. I wanted them to reflect many of the broader thematic and stylistic movements in Chinese painting, from the Tang Dynasty to the Qing Dynasty. And, of course, I wanted to feel a connection with each image, both aesthetically and also as metaphorical statement of core principles and values that animate our work at CFC. That’s a pretty tall order. I probably looked at over 1,000 paintings, and did my own, on-screen close-up crops of several hundred, before deciding on the 25 I liked most. In the end, there was room on the new site for only 13. Early on, I’d thought of using close-ups from several thangkas I’m lucky enough to own. The images were gorgeous, but my team felt (and I ultimately agreed), they were too unmistakably religious, even in extreme close-up,to fit well on the site. The text was not as difficult. We’re lucky in that our business has a very clear, narrow focus that’s easily expressed. Ours is also, importantly, not a business that relies on website traffic, or Google search results, to create awareness and revenue. I know this other world very well, through my role at Awareness Technologies, which is a web-marketer par excellence. Every day, Awareness Technologies’ websites and Google strategy will deliver new customers who buy our software. It’s highly-specialized work, this kind of online marketing, and my Awareness colleagues do it as well as, and often better than, anyone else in the world. Awareness Technologies also builds great software, which matters even more, of course, to the success of the business. CFC, on the other hand, is mainly a “word of mouth” business. Chinese SME come to us not through an online search, but because we’ve been introduced to them by others they know and trust. In fact, I wouldn’t be surprised to learn none of our clients have ever visited our website. They’re generally too busy running their companies to spend much, if any time, online – let alone searching the web to find an investment bank. I wouldn’t have it any other way. I don’t look to the CFC website to generate “walk-in” traffic. We do no search advertising, or web marketing. So, someone finding our website will usually do so through following a link on what’s called a “natural search result” at Google, Yahoo, Baidu or other search engines. My main hope for the new website is that all those who do visit it, first and foremost, will get enjoyment from looking at the paintings, and allow the close-ups to meander around in their minds for awhile. If that gets them then to read about what we do, so much the better. All I know is that as soon as I got to university in the US, I enrolled in Chinese class, and declared myself a Chinese history major. My first visit to China was 1981, when I arrived as a postgraduate student at Nanjing University. My intent back then was to devote my life to China – working, living and learning. In fact, my career path took an unexpected course and I ended up in Europe for 15 very happy and rewarding years, many of them spent as a foreign correspondent, traveling to well over 60 countries. From there, I moved on to Los Angeles to run a venture capital firm, and then lead a finance business during its US IPO. I visited China during these years, but until last year, never had the opportunity to do what I’d long hoped and planned to do – work and live in China. China First Capital is a culmination of my life’s dreams, hopes, and goals. I divide my time now between LA and Shenzhen, maintaining an office and home in each place. I feel intensely fortunate now to be involved in my work in the most important and history-changing development of our time: China’s rapid rise to economic greatness. This work is deeply meaningful and fulfilling for me, because I have this long and unbreakable bond (in my heart as well as my mind) to this country. China is reassuming its role at the epicenter of world commerce, and everyone in the world, quite literally, benefits from this. Right now, I have one specific, personal benefit in mind. Just as soon as I shower and unpack, I’m off for a delicious lunch of Sichuan food at a local place where I’ve gotten to know the owners, an extended family from Chongqing.